Nashville, TN – Jordan Smith is scheduled to perform on Tuesday, February 23, at the Opening Session of Proclaim 16, the NRB International Christian Media Convention in Nashville, TN. 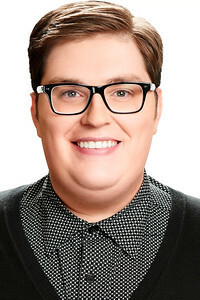 Jordan Smith stands out as the highest-selling artist to ever emerge from NBC’s EMMY AWARD®-winning The Voice. In less than six months, the 22-year-old from Whitley County, KY, sold more than one million singles and made Voice history by landing four songs in the Top 10 — the most of any artist from the show. Meanwhile, eight of his songs went Top 10, six hit Top 3, and three captured #1 on all of iTunes. He is one of only two artists, alongside Cassadee Pope, to notch three #1’s during the show’s season. Smith released a full-length album, Jordan Smith: The Complete Season 9 Collection, on iTunes one day after his win. Overnight, the album skyrocketed to the Top 5 on the iTunes Overall Album Chart and debuted on the Billboard Top 200 Album Chart at #11. His take on Queen’s “Somebody To Love” unseated Adele’s “Hello” from #1 on iTunes Overall Top Songs chart in a matter of hours, moving 164,000+ copies the first week and clinching #1 on the Billboard Digital Songs Chart. The following week his performance of “Mary Did You Know” also shot up to the #1 spot on iTunes and topped SoundScan's Digital Songs Chart at #1, selling 161,000 copies in the first week.